Hand made cute little rattle with teethers. It is personalized with name, my little words that you like. Leave your customization request at checkout in the comments. 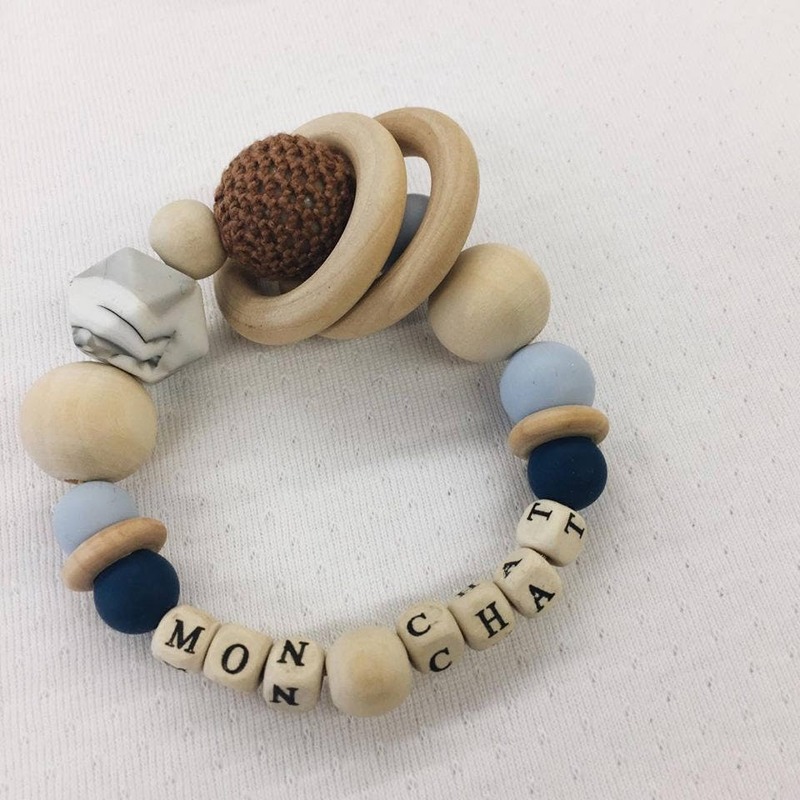 It will reassure and entertain your baby with these soft colors, wooden beads, wood letter beads and beads of soft silicone touch. 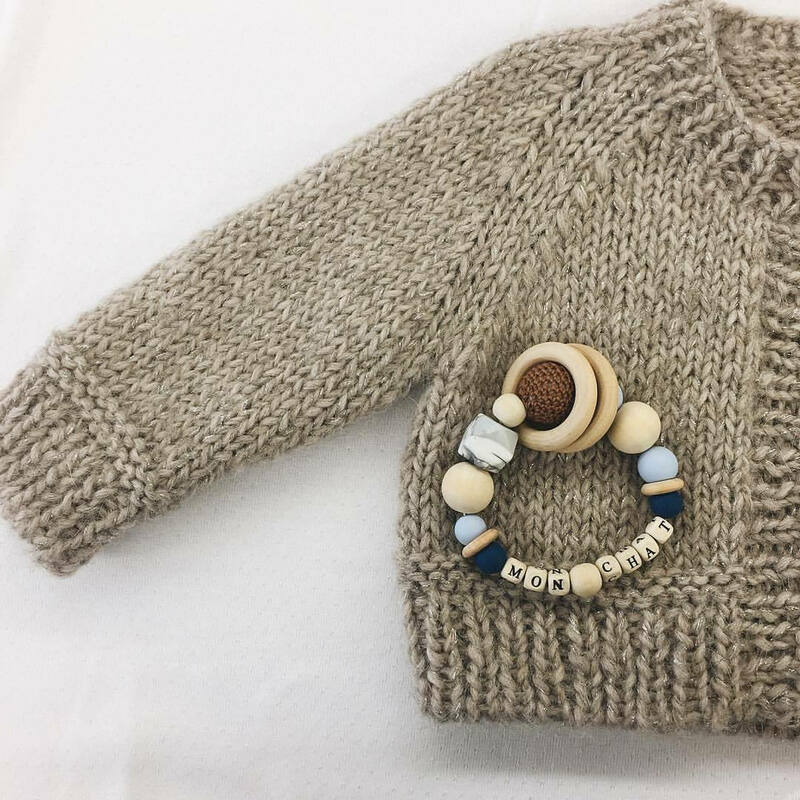 This cute rattle is also customizable baby where one or 2 words you choose and leave comment when ordering. The colors of the rattle may vary according to arrivals but always remain in the color theme you choose. Do not leave them on baby while sleeping. Do not leave the child and his pacifier unattended. Never attach to strings, ribbons, laces or loose clothing. Do not extend the pacifier. The set should be checked before each use. The first signs of flaws, wear or damage, throw the rattle.